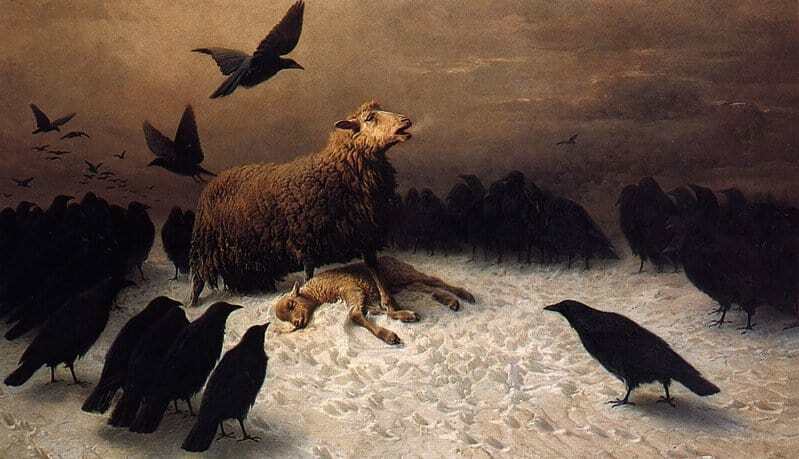 Spotted at the National Gallery last week: What a moving painting: August Friedrich Albrecht Schenck: ‘Anguish’. As a ‘sheephusband’ for over thirty years, how many times have I seen this? Sheep have a (measured) IQ of over 60 – more than many folks who are allowed to vote (for the Greens/Labor, I suspect) – and crows too, I have no doubt are pretty smart. They have been recorded making TOOLS, for example. Yet we eat the former, and shoot the latter…The day they acquire guns will be our last!